Without You, There is No Us had been on my radar for a while thanks to my interest in the secretive, seemingly dystopian culture of North Korea, but what prodded me to move it up my burgeoning to-read list was a recent NPR interview with its author, Suki Kim, in which she claimed that her publisher disingenuously marketed it as a memoir instead of investigative journalism. Some people might shrug at that—how big a difference can it be, really? But Kim argues that, while she respects the art of memoir, classifying her book as such degrades its value, and by extension minimizes the risk and sacrifice she personally undertook to get the story. And after reading her book, I have to agree with her. It’s not like Kim was on an exotic extended vacation or participating in a study abroad program. She posed as a Christian missionary in order to secure a position as an English teacher at an elite university for young men. The missionaries themselves at the school were posing as well, as Christianity isn’t openly practiced in North Korea and they weren’t allowed to proselytize to students. So Kim was not only undercover among her students, but also among her colleagues. There was literally no one she could trust with her real agenda—getting a rare inside look at North Korea’s privileged class, and taking as many notes as she could so that she could one day write a book about this most opaque of countries. Imagine her dismay upon discovering on the eve of the book’s release that it was to be marketed as a memoir, a book of her feelings and reflections, and not the journalistic expose she thought she had written. Kim does frequently mention a “lover” back in Brooklyn, who becomes something of an embodiment of everything she missed about the US during her time away. I have to admit, I found it a strange choice to feature him so prominently, especially when she doesn’t give enough detail about the man for him to have much impact on the narrative (and she freely admits they weren’t very serious about each other). Take out those asides (and the cringey term “lover”) and Kim would have an airtight case for reclassifying her book on store shelves. 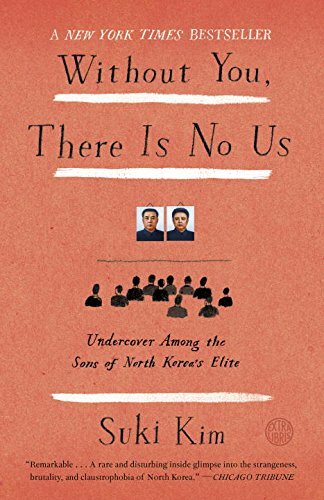 Lover or no lover, Kim’s book is a good companion to Barbara Demick’s Nothing to Envy, which is sourced mainly from interviews with North Korean defectors. Kim was definitely “managed” while she was in the country, and what she was allowed to see was always carefully curated by her minders, but she was still “inside” in a way that other writers haven’t been. And because she is a native Korean speaker, she was viewed differently by her students than the white American teachers were. Her book and Demick’s provide two different but equally fascinating windows into the strange, hyper-controlling dictatorship and its citizens.